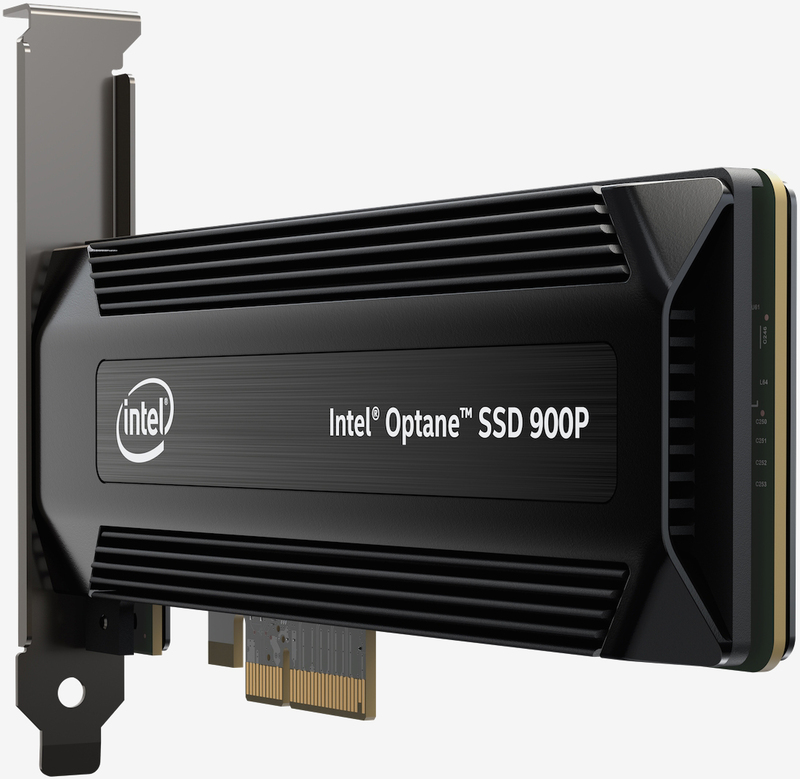 Intel’s Optane solid-state drives are finally available in a consumer-minded product thanks to the launch of the Optane SSD 900P. Available from today in 280GB and 480GB flavors, the Optane SSD 900P’s key attributes include incredibly low latency, extended endurance and performance improvements at practical queue depths. Derived from the enterprise-focused DC P4800X, the consumer drive is quite speedy with sequential read and write speeds checking in at up to 2,500 MB/s and 2,000 MB/s, respectively. Random 4K reads are clocked at up to 550,000 IOPS while random 4K writes are rated for up to 500,000 IOPS. Endurance (on the 480GB model) is rated at up to 8,760 TBW. In comparison, Samsung’s 2TB SSD 960 Pro is rated at just 1,200 TBW. Pricing is set at $389 for a 280GB x4 Gen 3 PCIe version and $699 for a 480GB add-in card. There’s also a 2.5-inch U.2 version with 280GB that commands $389 and we’re told a 480GB U.2 variant is in the pipeline. All come backed by a five-year warranty although neither are competitive in the price-to-capacity category (then again, that’s not really the point here). These are cutting-edge drives showcasing next-gen technology designed for those with storage-bound workloads and enthusiasts that crave the latest and greatest. For a full performance rundown, I'd recommend checking out this comprehensive review courtesy of Tom's Hardware. It’s great that the wait is finally over although it’ll still be a while before you’ll be able to fully flex those 3D XPoint muscles.